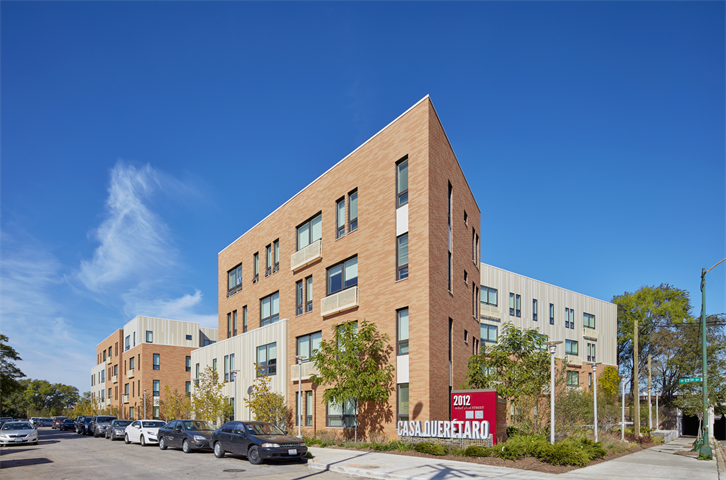 Pilsen, Quad Communities—Casa Queretaro in Pilsen to receive first place for the Richard H. Driehaus Foundation Award for Architectural Excellence in Community Design at the upcoming 24 th Annual CNDA. 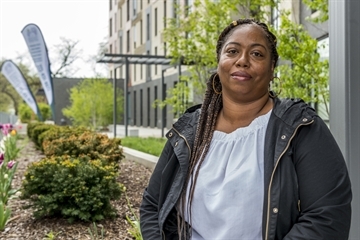 Auburn Gresham, Near North Side—In its third decade, LISC’s Quality-of-Life Planning (QLP) is bringing equitable change to neighborhoods throughout Chicago. 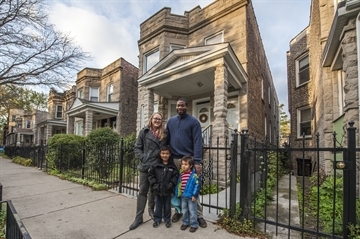 Housing, Humboldt Park—Through the Micro Market Recovery Program, the City of Chicago, LISC and neighborhood organizations are making communities better and stronger. 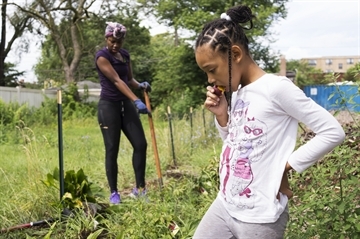 Placemaking, Englewood—Through the Large Lots program, Englewood residents are making their blocks better and stronger. Economic Development, Washington Park—Evelyn Shelton wanted to open a restaurant in Washington Park. 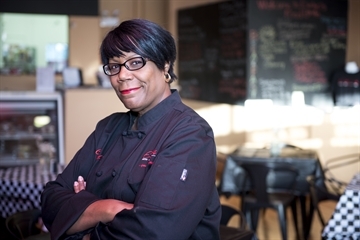 A LISC Small Business loan helped her do it. 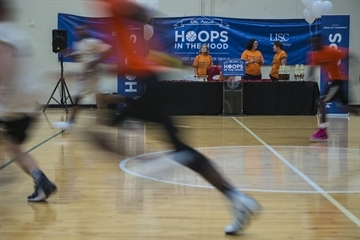 Health, Placemaking—On August 19, 2017, LISC Chicago hosted the 11th annual Hoops in the Hood Cross-City Tournament at Grant Park. Financial Opportunities, Woodlawn—How one Chicago woman built on her past to prepare job seekers for the digital age. 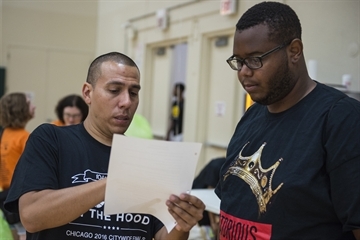 Placemaking—Hoops in the Hood, LISC Chicago's summer, neighborhood-based basketball program, kicks off its 11th season. This year, 16 community partners are participating. 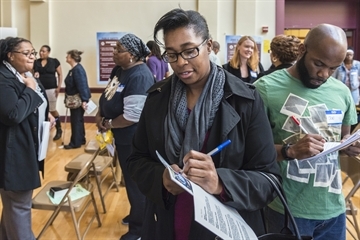 Financial Opportunities—Financial Opportunity Center clients find paths to success through the Bridges to Career Opportunities program. 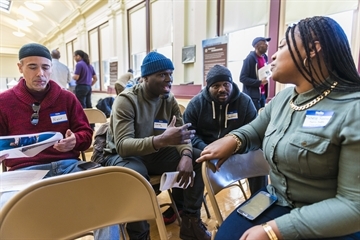 Auburn Gresham, Chicago Lawn, Englewood—The release of new Quality-of-Life Plans in Auburn Gresham, Chicago Lawn and Englewood brings fresh strategies and grassroots momentum to longtime LISC partners. 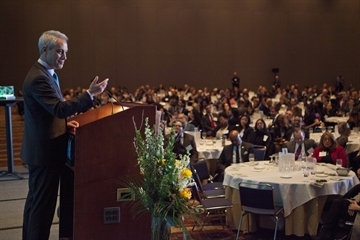 Placemaking—More than 1,500 people gather to acknowledge excellence in architecture, community organizing, real estate development and other efforts to strengthen neighborhoods. 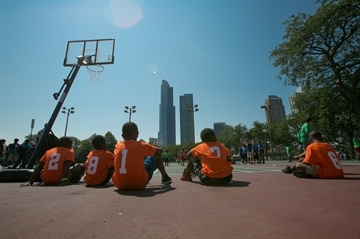 Placemaking, Little Village—Founded by LISC Chicago, Hoops in the Hood gives hundreds of Chicago students an opportunity to play basketball, compete in tournaments and show their team spirit. 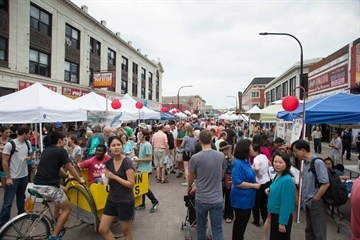 Economic Development, Uptown—The Night Market, a collaboration between Uptown United and the 20 th District of the Chicago Police Department, has brought new life to Uptown's Argyle Street. 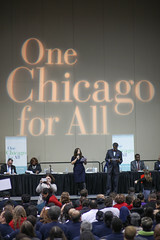 Stay up to date with the latest news and events related to LISC Chicago. Subscribe to LISC Chicago's online newsletter by sending your name, organization and email address to lisc-chicago@lisc.org. 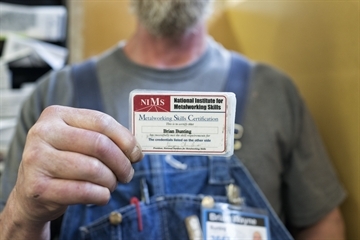 Hundreds of stories plus all the NCP quality-of-life plans.